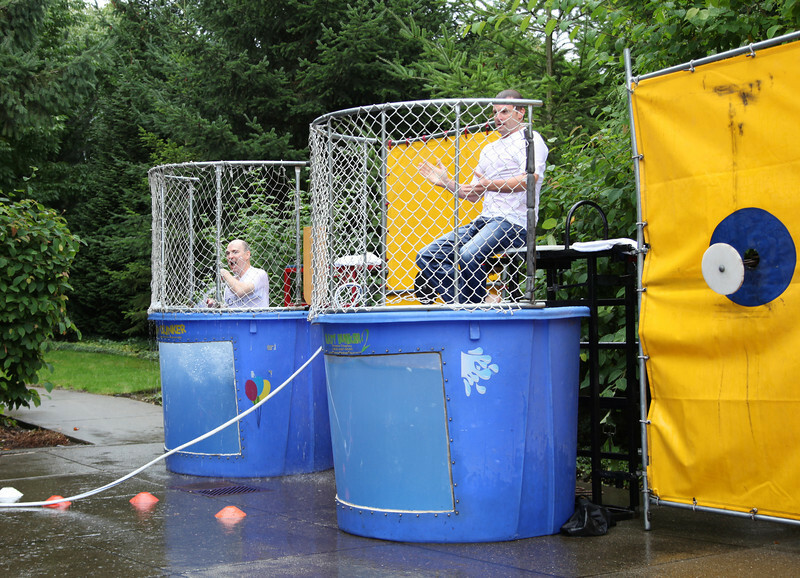 The Microsoft Giving Campaign for 2011 got underway on Monday afternoon, October 4th with an MSD carnival including the executive dunk tank. Bret was challenged to show up in his best suit, which turned out to be a tux! As a result, Bret got a lot of support from his group.